Everybody knows Hasbro as a well loved kids toy / branded play company. So how do you design a line of products designed for the adult game market, still under the Hasbro name? That was the exact challenge our newly created Adult Games Team set out to tackle. This involved a lot of research and testing; large testing sessions in Boston with startup business millennial types, multiple small group Q&A sessions in London and even a week spent in Palm Springs writing down dirty words to determine how far is too far!! All the time aiming to design fun adult games, without ever making anybody uncomfortable or feel offended by gameplay or content. Cranium is one of my favorite brands to work on because you can have so much fun with it. Cranium Dark was no exception. Utilising an iterative design process to see the product through from sketch to numerous rounds of testing in different situations, creating product pitches for internal and external use and seeing the product design through from sketch-to-shelf were all highlights of the design process. One of the highlights for me was definitely watching testing sessions through one way glass and trying to stifle laughter so that we couldn't be heard through the glass! "It's time to get out of your comfort zone and move into a different way to play Trivial Pursuit! The Trivial Pursuit X game was created for adults and features edgy trivia that leaves its mark…literally. Because now, the wrong answers have consequences! The game comes with an inked ""X"" stamp for players to stamp on opponents' foreheads when they answer a question incorrectly. It's hilarious fun, as players compete to answer the questions correctly so they don't get stamped. Players continue to play until a player has 5 ""X"" stamps on their head. They are not only the loser, they also look rather ridiculous." The development of Midnight Taboo lead to one of the more interesting content brainstorms I've ever been involved in. 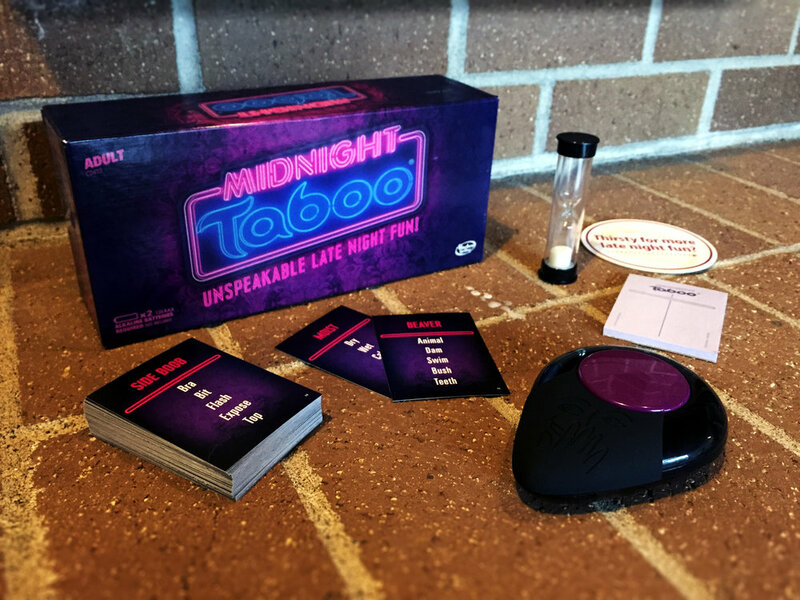 A quick trip to the desert (Palm Springs) with the Adult development team, brainstorming unspeakable words and phrases to create test content with the original inventor of Taboo!